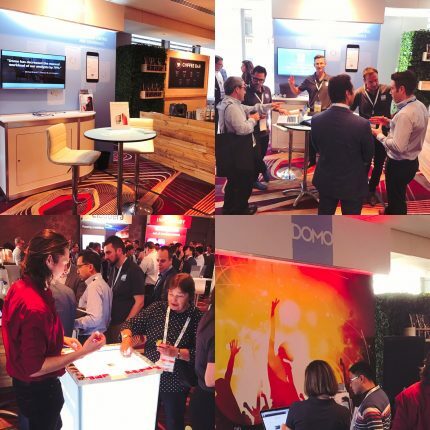 The last couple of weeks have been incredibly engaging for Domo, as we’ve taken part in a number of executive-level conferences throughout Australia. 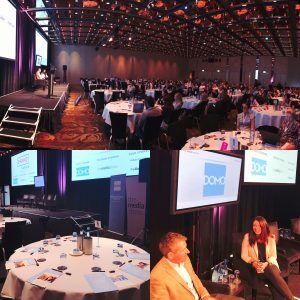 The 3rd annual Brand Forum in Sydney saw approximately 300 CMOs and senior brand marketing executives across all sectors come together to explore the latest trends, tactics, and innovations in brand marketing. As one of 6 keynote speakers, a Domo VP of Marketing shared how leveraging the most relevant real-time marketing data can transform customer engagement across all channels, help get your money in front of the leads that matter most and tap into account-based marketing; one of the industry’s fastest-growing and most profitable trends. Domo was also invited to be part of the future session panel, discussing ways executives can navigate the next decade as brand ambitions flourish alongside advances in big data, automation, real-time analytics, artificial intelligence and personalization. Some topics Domo touched on include how brands will overcome consumer mistrust and cynicism, processes that will help teams to handle technology and data more effectively, and how leaders should nurture creative flair and human connection as smart machines join marketing departments. The Gartner Data & Analytics Summit saw more than 700 Analytics and BI Leaders, Architects, Senior IT, Information Management, Master Data Management, and Business Leaders gathering in Sydney to discover how to lead in the age of infinite possibilities. Domo’s Chief Technology Officer, Darren Thayne, took part in the VIP round table lunch, discussing the challenges IT departments face as big data becomes expectation and departments invest in self-service tools to support these flexible options while ensuring a secure and compliant process. 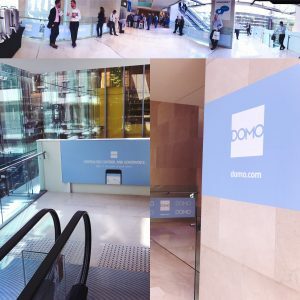 Darren also represented Domo at the 3 rd annual Government Data Summit, held in Canberra, speaking to leaders about how to visualize and share data across their organization to better inform public policy and decision-making. “As government agencies across Australia look to provide their constituents more efficient services, exploring and understanding cross-agency data has become vital. 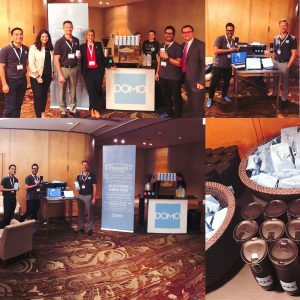 Through Domo’s platform, agencies are able easily analyze this increasing amount of data from a range of sources, reducing the time necessary to make better decisions.” There was a lot of chatter around these conferences, sparking a flow of intriguing conversations across social media. Want to learn more about Domo? There’s no better way to do it than to join us for Domopalooza 2017, March 21-24 in Salt Lake City, UT. It’s not too late to register and get in on all the education, insights, and entertainment happening at this year’s event.